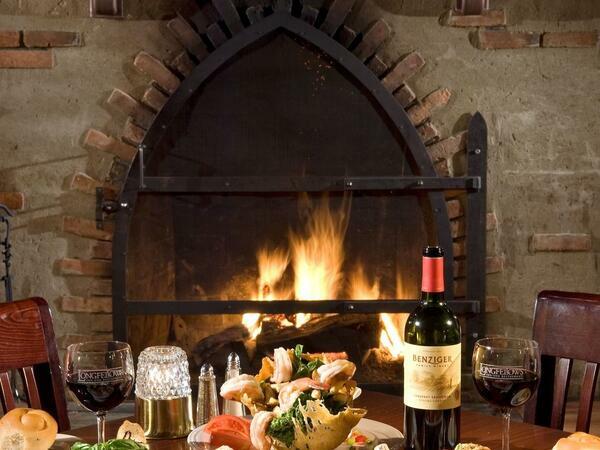 Longfellows Restaurant offers a full calendar of events, including holiday dinners, happy hour specials and more. Stop in for a drink and a nibble after a busy day in Saratoga Springs, unwind with friends over dinner or reserve your spot at one of our fabulous seasonal events. We can’t wait to see you. Do you have things to do and no time to cook? Or perhaps you’re simply in the mood to have someone else take care of meal prep for you. Either way, we’ve got you covered. Every Wednesday, we offer one of four dinner options for two people for just $25.99! Just call the restaurant any day or time until 5:00 p.m. on Wednesday and pre-order the weekly featured entree. Tell us what time you’ll be here, and we will have your meal cooked, packed and ready to go! Check out this month’s offerings! One great price - enjoy a gourmet three-course dinner for just $24. Offered Sunday - Friday from 4:00 p.m. – 6:00 p.m.
Reservations 11 am-4:30 pm Call (518) 587-0108 Today!